December is here again, which means many of us are turning our minds to Christmas. In a previous list of gift ideas for Wodehouse lovers, I suggested giving the gift of Wodehouse Society membership. As an added incentive, the P.G. Wodehouse Society (UK) is offering gift membership. Prices start from £11.00 (for part-year membership) and you don’t need to live in the UK to join. All members receive the Society’s quarterly journal, Wooster Sauce and By the Way supplement (well worth the very reasonable membership fee). The Society hosts regular meetings and events, including a famous Biennial Dinner. Joining a Wodehouse society is an excellent way to connect with other Wodehouse fans. If you live outside the UK, the Society website provides a list of international society contacts. The US Wodehouse Society has many active regional chapters (including a new one in Rugby Tennessee) and publishes the excellent quarterly journal, Plum Lines. They also organise the biennial convention – a highlight in the Wodehouse lover’s calendar. See the Wodehouse Society website for details. I’m also a member of the Netherlands P.G. Wodehouse Society, which recently celebrated its 35th anniversary. Regrettably, I’ve not yet been able to attend one of their meetings, but this is now at the top of my Wodehouse ‘To Do’ list. Their Society journal is delightfully titled Nothing Serious, and I’m pleased to have added this dash of ‘modern Dutch’ to my collection. Deciding which society to join was difficult (particularly when I lived in Australia) until I realised that you can join them all. Receiving the quarterly journals is always a thrill — and a welcome change from the sort of post I usually receive. 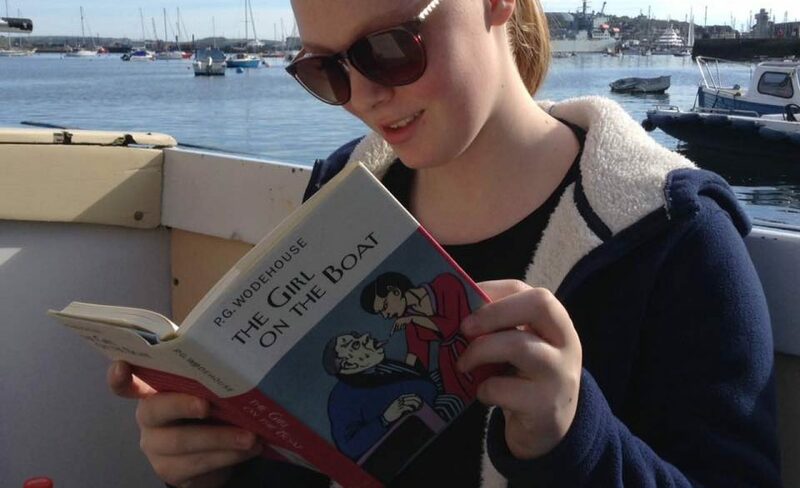 I also feel more connected to other Wodehouse fans. If you’re lucky enough to live in an area where Wodehouse lovers gather, the joys in this respect are immeasurable. I would certainly recommend membership as a Christmas gift –or as a treat for yourself, any time of the year. Ah ha! What-ho? My very own Tagline.